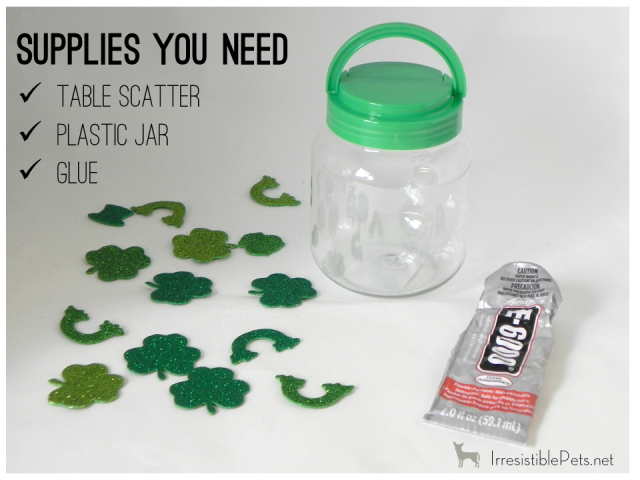 Remember that glittery St. Paddy’s day table scatter I used to make this pet shirt? 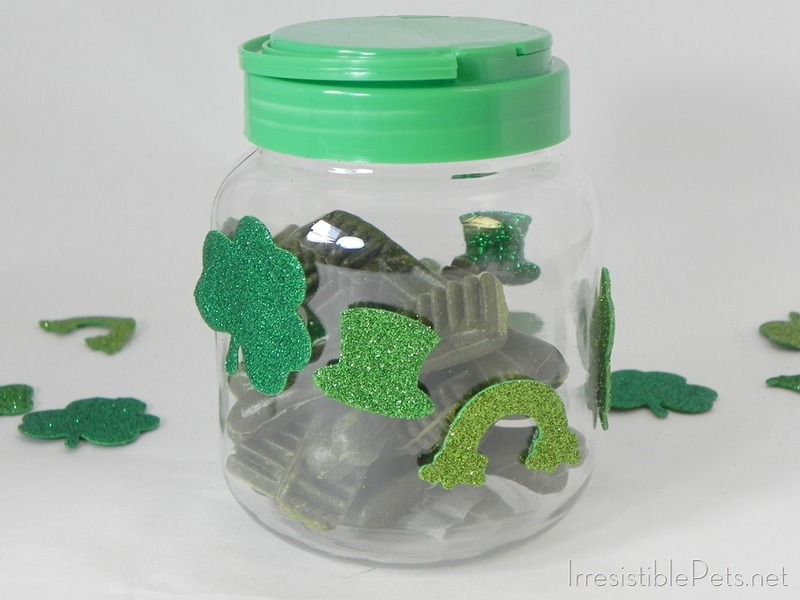 Well, here’s an idea to use the left over scatter! This pet treat jar can be used for festive décor or as gifts for your favorite pet parents! 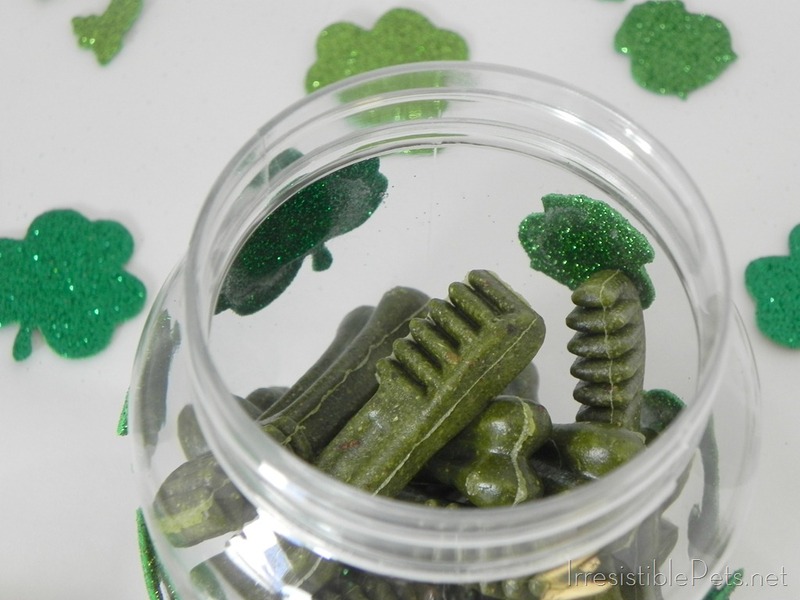 I filled mine up with Chuy’s favorite green treat, Greenies! All together this project cost me $2 (already had the glue) and took about 5 minutes plus drying time. 1. Place glue on the back of the table scatter and adhere to jar. 2. Press down until it’s glued in place. 3. Continue with the rest of the pieces you want to use. 5. 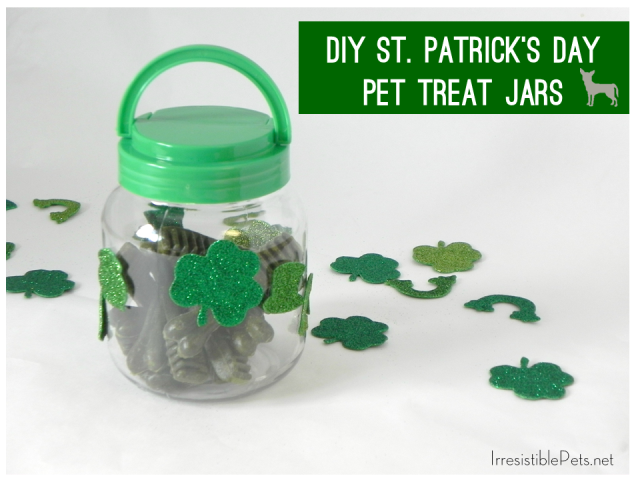 Fill with your cat or dog’s favorite treats! 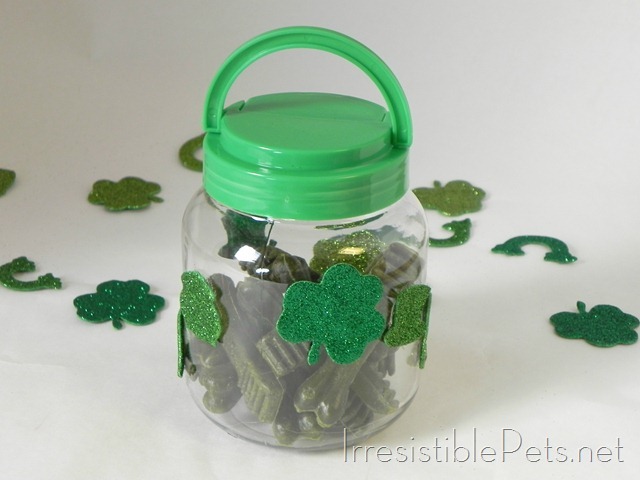 I used Greenies which are green (duh) and Chuy loves these! I give him one every day to keep his teeth and gums fresh! such cute ideas! what a carling little pup you have!